After settling into my new home for the next 2+ weeks, the previous night, I prepared for the task ahead of me: Passing 5 CAA exams (Navigation, Meteorology, Human Performance, Ballooning Systems and Air Law) as well as a tether and one solo flight. A daunting aspect for any mere mortal! It was 6AM in the morning when I woke to my mobile alarm, with winds of +15kts even I knew we weren’t going to fly. So I packed my pilot’s bag and awaited being picked up and being told what I was going to do that day instead. 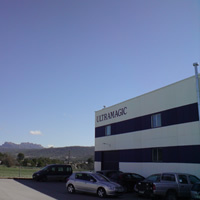 Upon being picked up we proceeded to the Ultramagic factory. Due to excess winds we had a day of practicals ahead of us. Firstly a tour was in order, a tour of the factory, meeting owners, designers and manufacturers. As a frequent visitor of Balloon Manufacturers (Cameron Balloons e.t.c) I was surprised by Ultramagic, not only were they more friendly but I personally was able to see 3 friends balloons being manufactured as well as seeing plans for the new Aerosaurus Hot Air Balloon!! This gave me a large sense of realisation, thinking actually balloon manufacturing is now being outsourced to foreign countries, where you can purchase the same product for nearly roughly and eighth of the price. After a mid-day snack we then proceeded up to the local windmills. Although it was non-related, as a keen renewable energy buff I loved seeing 55+ windmills. I then returned back to the hotel for study time and went down to tea before writing this blog.